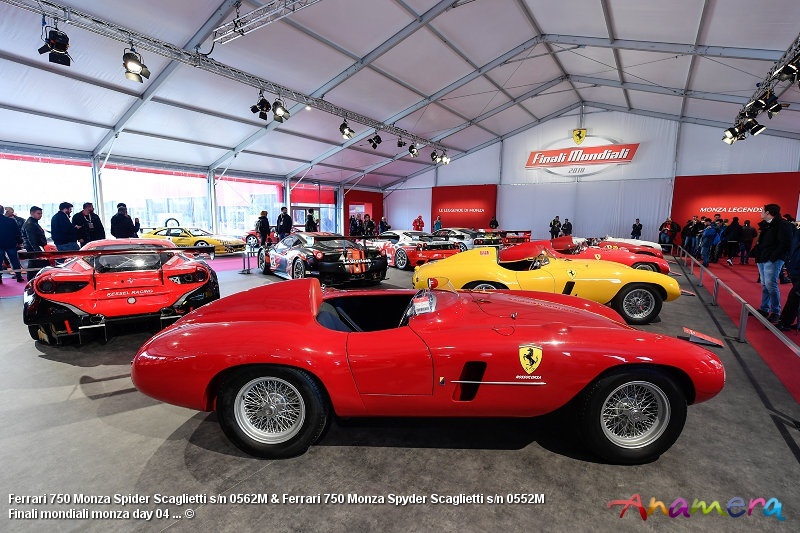 Monza, 4 November 2018 - More than 30,000 people flocked to the Autodromo Nazionale di Monza for the final day of Ferrari Finali Mondiali, where the world titles of the four classes of the Ferrari Challenge were assigned and a great show staged involving almost 100 Prancing Horse cars. More than 50,000 people attended the circuit over the four days of the event despite the rain that disrupted the first races of the weekend. On the final day, the paddock was literally invaded by fans and tifosi who got the chance to see the entire road range, as well as 40 legendary cars whose names are inextricably linked to the history of Monza and the new Ferrari 488 Pista Spider and Monza SP1 and SP2. For 10 lucky employees from Maranello there was also the unforgettable experience of a hot lap in a 488 GTB of the Corso Pilota alongside one of the Competizioni GT drivers.